Would you be willing to believe that the Mona Lisa hanging in Paris is a derivative of an earlier, unseen work – a working copy done of an earlier, similar painting by Da Vinci, that has resisted the limelight for so many years? Perhaps you would, and you certainly could not mistake the resistance from the Art Establishment as their notions of art historical narrative are shaken and rewritten by the ‘Earlier Mona Lisa’ exhibition. Surely the Louvre is the centre of all art historical power, the mile ‘zero’, the alpha and omega of all things artistic. How is it possible they could be upstaged in this way? The art world is a place of elitism, prestige, intrigue and mystery. Art historians place together streams of maybe and probably with extraordinary reams of evidence. The coveted trophy for any painting is an ‘attribution’ to the hand of Leonardo da Vinci; once the art historical experts converge with consensus on a particular piece of art, its fortunes are assured for the Hereafter. Numerous works are suspected of having the attribution of Da Vinci, but without sufficient evidence or consensus, they do not reach it. 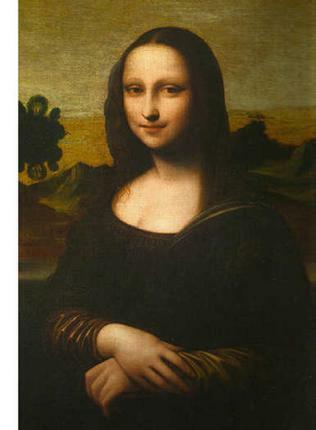 The painting named the ‘earlier Mona Lisa’ is known in art circles as the Isleworth Mona Lisa. 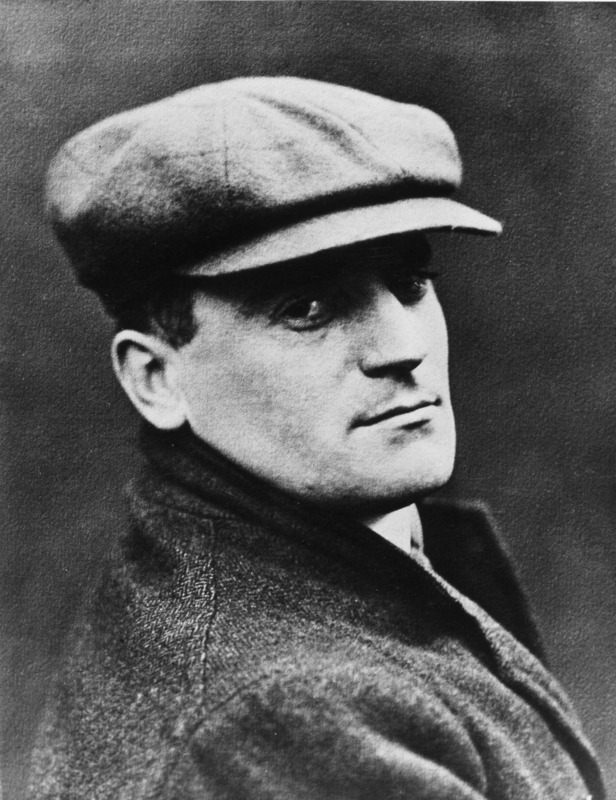 It was located in England in the 1920s by art connoisseur, Hugh Blaker, who was able to buy it from the estate of an aristrocratic family who were selling off assets to pay the bills. It shows Lisa del Gioconda, the woman with the most famous face in history, daughter of a Florentine merchant. It may have been commissioned by Giuliano de’Medici. The painting passed to Henry Pulitzer, who sold a house and its contents in order to pay it. After his death it ended up in a Swiss bank vault from where it was brought and thoroughly examined. The Isleworth painting is done on canvas – no recognised Da Vinci painting has been done on this before – and it features two distinct pillars, one on each side of the sitter. Proponents argue that the Paris Mona Lisa omitted the pillars of the earlier version when it was painted. So much documentary evidence is laid out in the exhibition to present the plausibility of two copies of the painting. Da Vinci frequently copied his paintings, and the variants are display in different museums. Giorgio Vasari, the eminent and definitive art historian, writes on several occasions about there being two Mona Lisa paintings in existence. His student, Raphael, had sketched a Mona Lisa in Da Vinci’s studio and the one that he sketched featured two distinct columns at each side. Other historical documents, such as the Heidelberg Document, further support the possibility of two paintings. The painting itself withstands numerous tests of Da Vinci technique: the symmetry, the use of the Golden ratio, and the Goldblatt Thesis which claims that the female faces of Da Vinci follow very precise proportions. Carbon dating and x-ray examination all add to the possibility of it being contemporaneous. The lack of a good background is because, so the argument goes, Da Vinci completed the figure but not the background – someone else did that – and that he used this painting as a basis for the Paris one whose face he aged by about 15 years. No great conspiratorial story is complete without an expert to deny it, and the exhibition takes oblique aim at Professor Martin Kemp of Oxford University, who has not even bothered to view the painting. The tone of dismissal in the exhibition tends towards the obnoxious and personal. His words are highlighted on entry to the room: “I always view a painting up close and in person to know things that other people don’t know”, but later in the room we find that Kemp has ignored his own words and declined personal invitations to view it. The strand of logical implication is obvious. Kemp, on his blog, states that details are absent in the subject’s veil and that use of canvas was something that Da Vinci would never have contemplated. He also points to the numerous copies of Mona Lisa around Europe (Madrid, Oslo and elsewhere) which are certainly not by the great master. He believes it to be another fake. Given that he is the world’s leading expert on the Renaissance master, and without whose agreement no attribution can be universally made, it is hard not to wonder about the extent to which the new owners of this arriviste work are presently prepared to go to in order to secure a Da Vinci attribution, and it is not too difficult to guess their motives. It is fascinating and mind-blowing to slowly absorb, in all its glory, the evidence and complexity of this field. It is hard not to be impressed by Da Vinci, his methods and genius, even if this painting’s authorship is contested. And the excellent presentation of evidence in the exhibition will leave you advocating for the painting, long after you leave the museum – wishing and hoping perhaps, and wondering what kind of artifice of power it seeks to break down. But, on contemplating the work that went into the figure of this serenely wonderful object, as she sits peering out in majestic dim lighting across the centuries, you might well wonder if it even matters who painted it. The incredible story of the Isleworth Mona Lisa is being told through the exhibition, as well as a chance to see the painting in the flesh, at ‘The Earlier Mona Lisa’, currently in Singapore at the Arts Centre, Old Parliament House, and coming soon to major cities worldwide. Tickets for the Singapore exhibition at Sistic. Until 11 February 2015. I saw a documentary on this a while back. I couldn’t believe that all that proof could not get the painting authenticated simply because of one man’s arrogant need to wield and show off his power. Previous Previous post: So, what about you, Charlie?